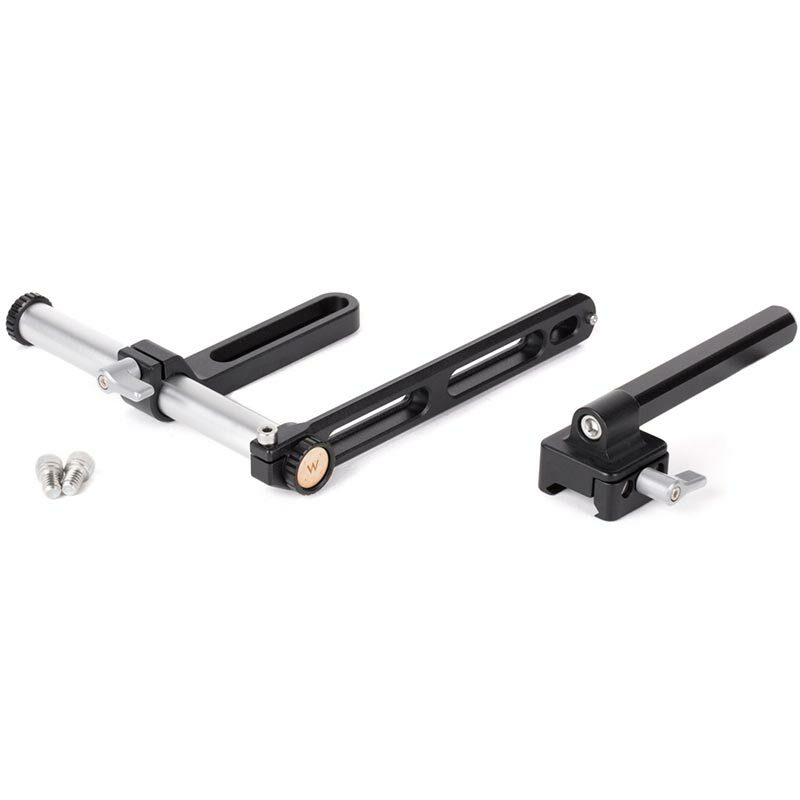 Three points of adjustment: 15mm Tube Clamp for tilt and distance to the camera, NATO thumbscrew for positioning on NATO rail, and tension knuckle built into Sony EVF to adjust tilt. Tool-less design allows quick installation and removal of UVF v2 Sled. Safety pin prevents accidental removal. UVF v2 Sled can attach to any NATO-style rail. NATO Arm length approximately 5" however longer distance can be reached via the integrated 15mm rod that attaches the EVF. 15mm Tube Clamp bolts directly to two 1/4-20 screw holes spaced between 25mm and 36mm center to center. This can be used in conjunction with the Top Plate (Sony FS5).